Having a Bad Nail Day. So today one of my longest nails decided that it did not want to continue our cooperation anymore and with that broke the contact. To put it more simply: I broke it on a heavy door. A very sad day. 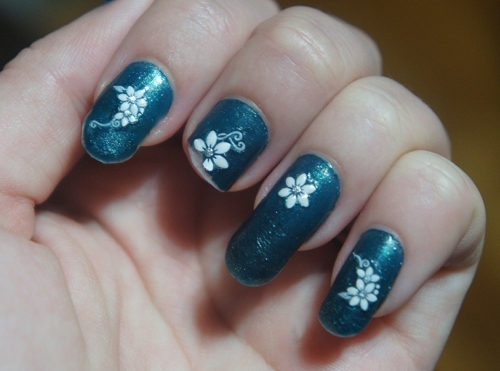 Since all of my other nails are very long – as seen in the photo, I decided to invest in some cheap plastic nails in the 100 yen shop (one dollar store) to cover up the damage for some time. 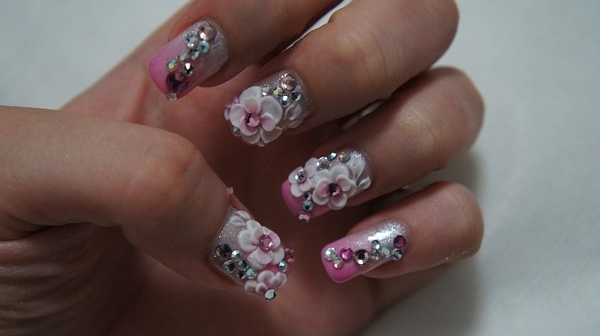 80 pieces of plastic nails for 100 yen (around 1 USD) is not such a bad deal, though I must admit that I don’t have much experience with fake nails, since I love doing nail art and I have my nails decorated and polished all the time with helps them getting stronger and therefore longer. 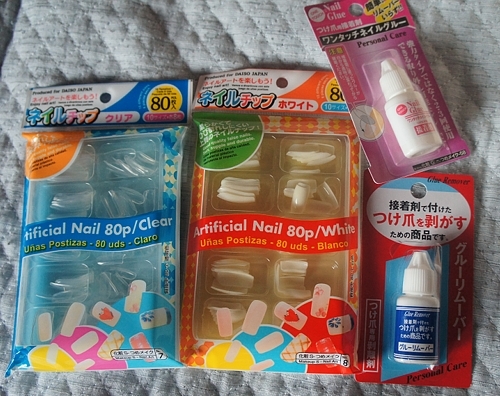 The two other items in the picture is nail glue and glue remover – also 100 yen (1 USD).